Are you seeking for online portal development for your business? Grow your business with low investment and high return with CDN Solutions Group in Gitex Technology Week. We are a web and mobile app development company providing Online Portal Development services. Get the best solutions for your kind of online portal from us in Gitex 2015, Dubai. Launched in 1981, GITEX is the ICT business gateway to the Middle East, North Africa and South Asia Region. It is Number 1 trade show in the MEASA region, with 142,000+ ICT Professionals from 150 countries. Being a one-stop portal development provider, CDN Solutions Group will showcase many online portal solutions in the mega technology event, Gitex 2015. We are exhibiting in Gitex Technology Week for the 7th consecutive time. This time we will be at stand no SR-E8 in Sheikh Rashid Hall, from 18th -22nd October. Development of Online Portal is one of the area of our expertise. We are developing projects in .NET, ASP, JAVA & PHP with the basic concepts of News, SMS Fun, Directory Listings, Search, Finding Partners, Matchmaking and Auctions. We have developed Web portals for Vegetarian Community and for Local Social networking community. 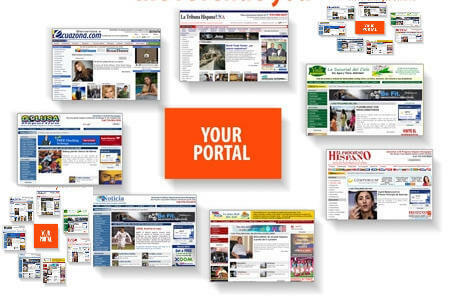 Online portals are the most demanding solutions for business nowadays. With the help of online portal, you can earn huge money in a short span of time. We will give you a perfect online portal solution for your business that will help your business grow. So, we welcome you to meet us in Gitex Technology Week 2015, to discuss on your Business idea. If you are looking for free complimentary pass, then do Register with us. Hi, outstanding blog post. I really appreciates with your article. thanks for sharing.